The Reflection Series for this month is adapted from Reasoning the Rest, which you can read or download from the main menu. This month, we’re reflecting on the divinity of Jesus Christ. If you profess faith in the Christian message, yet lack this belief about Jesus’ identity, you expose a complete lack of understanding of the very Bible wherein you find the figure of Jesus in the first place. The Gospel narratives leave no possibility to reject the deity of Jesus. Rather, they appreciate, rely on, and believe in the message that he spoke. We can better understand this vital truth about Jesus with these four points concerning Jesus and his teaching. For the next several weeks, we’re going to reflect on these indicators that support the divinity of Christ Jesus. Although the Crucifixion testifies to the divine nature of Jesus, one can find enough support for the divinity of Jesus Christ prior to his sacrificial death upon Golgotha. Throughout his ministry, Jesus became popular for a number of reasons. While the number of people who believed in him as the Messiah and as God grew, the number of people simply hungry for miracles tended to occupy the daily majority. Just as people in today’s world are hungry for entertainment, so were the first-century people in Palestine. Repeatedly in the Gospel narratives, we find people who are much more interested in the healing power of Jesus rather than his identity or greater mission to save the world and redeem all people from their sin. But Jesus always makes forgiveness of sin paramount over the physical healing alone. According to Jesus, there was a deeper sickness, a deeper problem and a deeper need for his power than any physical ailment present in a person’s life. Repeatedly Jesus forgives a person’s sin, in response to someone asking for the healing of his or her body. Jesus saw the deepest problem was sin, so he thrust himself into the center of all sins as the focal point from which forgiveness was to be given. All sins go much deeper and further than the person being sinned against, because ultimately, all sins are against God. Therefore, only God has the right and authority to forgive anyone their sins. In the context of human sin and the transformative healing power that Jesus also exhibited, the only reasonable person in human history that could make a case for having the power to forgive sin and thus be God in human form is Jesus Christ. “But you have not known him. I know him. If I were to say that I do not know him, I would be a liar like you, but I do know him and I keep his word. Despite this testimony, many persist in the viewpoint that Jesus was simply a gifted teacher endowed with Godly abilities to teach and to heal, but only to the extent that his teaching ultimately lead those to God and not to himself. This opinion places Jesus in the realm of Prophet and not Messiah. However, Jesus did possess qualities resembling those of the Old Testament Prophets. Jesus healed; so did Elisha. Jesus spoke the words of God connecting past, present and future seamlessly, directed by the Father himself; so did all the prophets. Yet at a certain point, the unique qualities of Jesus separate him from the line of Prophets. His characteristics become the characteristics only seen in the Father himself, which not only aligns Jesus with the Father but makes them one. Most famously in the Gospel of John, Jesus openly declares to his disciples that he is “one with” the Father in Heaven. This oneness was not only on display throughout the ministry of Jesus in miraculous healings and resurrections, things only God could do. This oneness was not only on display in the form of his claims about himself, directly professing things that only God could profess. This oneness was not only on display by the way that Jesus fulfilled every prophecy about the coming Messiah as truly “Emmanuel” or “God with us.” This oneness was most powerfully on display when Jesus conquered death through the victory of the cross. That display of Godhead set in motion the transformation of the entire world, one person and one country at a time, through the dwelling of his heavenly Spirit in all those professing faith in the oneness of Jesus Christ and the Father as God in the Flesh, sacrificed for sin on the cross, resurrected on the third day and presently alive and awaiting the day of Judgment when all things will be made new, just as they were when he created in the beginning. We find in the Gospels that Jesus was not just careful with the words he chose, he was precise and deliberate. His words are not the categorical babble of the megalomaniac. They wield the same power, precision, and beauty of a sword. Realizing this, we become even more dumbfounded by his claims. Aside from his words of authority concerning sickness, death and sin, Jesus claims the authority of certain knowledge that only God could possess. He recounts the falling of Satan in Luke 10:17-20. He recounts his personal use of prophets, calling them into service in order to preach his truths to Israel and the world in Matthew 23:34. He professes his longing to shelter all Israel as a hen shelters her baby chicks in Luke 13:34. Jesus even goes so far as to openly assert that he existed before the Patriarch Abraham in John 8:58. These claims tend to get lost in between the longer sermons and parables, but not because they are unimportant. Rather, they may be overlooked by some because of the apparently casual manner in which Jesus says them. Jesus speaks these words in the same way we would recount our day at work or our meal at lunchtime. To him, his identity was so obvious that to say such things needed no ceremonious delivery. He spoke these words to anyone, anywhere, because it was his very nature and identity. Not who he claimed to be or who his followers believed him to be. To disbelieve these claims, or to insist that Christ made such claims falsely or mistakenly, is to celebrate a complete maniac that has no grasp on reality whatsoever. This man would never be worthy of a person’s faith or worship. The Reflection Series for this month is adapted from Reasoning the Rest, which you can read or download from the main menu. This month, we’re reflecting on the virgin birth of Jesus Christ. This week, let’s consider how the Gospel and ministry of Jesus support our faith in the Virgin Birth. 1 John 1-4: That which was from the beginning, which we have heard, which we have seen with our eyes, which we have looked at and our hands have touched—this we proclaim concerning the Word of life. The life appeared; we have seen it and testify to it, and we proclaim to you the eternal life, which was with the Father and has appeared to us. We proclaim to you what we have seen and heard, so that you also may have fellowship with us. And our fellowship is with the Father and with his Son, Jesus Christ. We write this to make our joy complete. In Mark 16, what Jesus had been promising all along had finally come true. The stone was rolled away and what he foretold would happen actually happened. He was risen. He was the Christ. He was who he said he was. If, that is, you believe the Gospel account. What happened on that third day is amazing, yet for many, impossible to believe. The idea that Jesus could resurrect himself and then appear for forty days teaching, speaking, eating and living in human form seems like a myth or fairytale: fun to talk about but foolish to have faith in. Initial reactions to the resurrection often take two forms, one from the side of belief and the other from non-belief. Both are incorrect in their foundations. For many Christians, the reading of the Passion narrative, ending in the empty tomb, is a tradition to honor and a story to recite. Reading about the Resurrection is similar to watching the end of “Sleeping Beauty.” How nice, we think, how romantic. Wouldn’t it be nice if life were really like that? To my knowledge, no one has ever finished watching “Sleeping Beauty” saying, “Isn’t it great that that happened! How amazing! I wish I could have been there to see it!” If someone were to react that way, we would respond to them in judgmental, sympathetic and annoyed disbelief. We all know that “Sleeping Beauty” is a fairytale and we end the discussion there. We aren’t wrong for doing so, because we know that the story doesn’t claim to be true and to change our lives forever. It’s a story. That’s it. There are many self-professing Christians who read Mark 16 in the same way they watch “Sleeping Beauty.” They read the story and feel nice and warm inside, but it never transcends the pages to impact their real lives. The purpose of “Sleeping Beauty” is to entertain, to tell a made-up story. The Gospels are different: they proclaim truth and promise change. The apostle Paul confronts this attitude in 1 Corinthians 15, telling is that if the tomb wasn’t actually empty, if the Resurrection did not occur in fact, then everything we do as Christians is not only without purpose but is harmful, foolish and pitiful. Living life under the belief that “Sleeping Beauty” is a true story would be something to be ashamed of, not proud. No one, at least to my knowledge, has faced death joyfully professing confidence in the story of “Sleeping Beauty.” Yet thousands, including eleven of the twelve original disciples of Jesus Christ, have died full of joy in the Gospel of Jesus Christ and the story of the empty tomb. Somehow, belief in the cross is easier than belief in the empty tomb. However, to stop at the cross makes the life of Jesus the story of a failed and dishonest teacher that does not deserve our attention or worship. There are many other teachers and wise men throughout history who did not make the outrageous claims of deity that Jesus did, and if he were not actually who he said he was we could follow the teachings of any one of them. 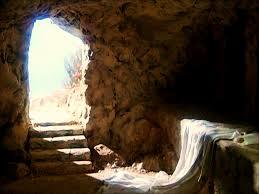 However, to believe in the empty tomb means to acknowledge the life of Jesus Christ as he proclaimed it. He called himself “the way, the truth, the life,” even “the resurrection and the life,” and to believe in Jesus Christ means to believe in life beyond the tomb. For non-believers, the main difficulty in believing in the empty tomb originates with distrust in the Gospels. This distrust which I myself displayed for many years comes from ignorance in the facts behind the four Gospel narratives of Matthew, Mark, Luke and John. Non-believers see the Gospels as simply legends that were written many years after Jesus died, and the stories, including the Resurrection, came out of the desire to create a version of Jesus that was more what the writers wanted him to be and less what he actually claimed to be. If one takes this view of the Gospels, we have to ask several questions. First, when were the Gospels written? Given the span of time separating the death of Jesus and the first account of the Gospels, was there sufficient time for “myth” or “legend” to arise? What would be the motivation for the writers to write such an account the way they did? Lastly, what if any incentive would there be in doing that for them personally? First up is the issue of time. According to the most current historical and archaeological research, the general consensus is that they were written much closer to the life of Jesus than what most people believe. Since we are focusing on the Gospel of Mark it is sensible to discuss the most widely accepted view in its original date of composition. Most scholars believe that the Gospel of Mark was written close to 20-25 years after the death of Jesus. For those of us outside the historical evidence arena, this might still seem like a long time passed beyond the actual events being recorded. However, when we look at the written accounts of prominent historical figures, like Alexander the Great, we find that the earliest account of his life was written close to 300 years after Alexander’s death. Yet, we believe that Alexander the Great lived and did the things we are taught he did. 1 Corinthians 15 has Paul receiving the story of Jesus– living, teaching, being crucified and rising from the dead on the third day– within five years of the crucifixion. Five years! In the historical context, that is barely a moment. To recount stories with accuracy given such a short period of elapsed time between the actual events and the recording of them is more than plausible. Secondly, we must consider motivation and incentive. How would writing the Gospels affect the lives of the authors as individuals? Some imagine 21st century televangelists with white-toothed smiles and expensive suits, lining his pockets. From this perspective, the motivation to write these stories would be to materially benefit their own lives. But this is to completely neglect the realities of their world. For these men, to identify as a Christian was a death sentence. Not only were they heavily judged and persecuted outside of Israel, they were also fought from within as their Jewish brethren attempted for years to squelch the worship of Jesus Christ. Eventually one of the most notable preachers of the Gospel, Paul started as a prominent persecutor of the church. We now know through the historical records that all but one disciple of Jesus were executed for their belief and continued support of the Christian church and the gospel of Jesus Christ. By writing the Gospels, these people were literally risking their lives, and many lost their lives. No matter who you are, your life will be defined by what you believe about the empty tomb. Those who believe will understand that not even death is to be feared. Those who do not see this world as all there really is. The power of the Resurrection of Jesus is there for everyone to see and find, but the question to each person is, do you want to find it?